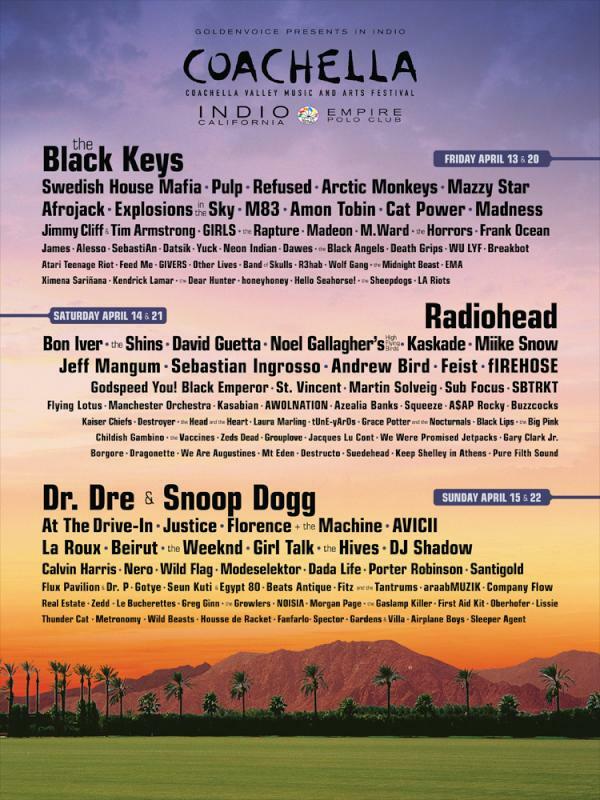 Not like Coachella needs any more write-ups, but they announced their line-up tonight, and this is the first year that I like/know the majority of the artists. I’ve actually written about a lot of them or mentioned them in this very blog. I agree. That would be pretty magical. Although, I’m not sure how it’s set up. I’d have my list of must-sees. They are doing the same 3 days for two weekends, though.